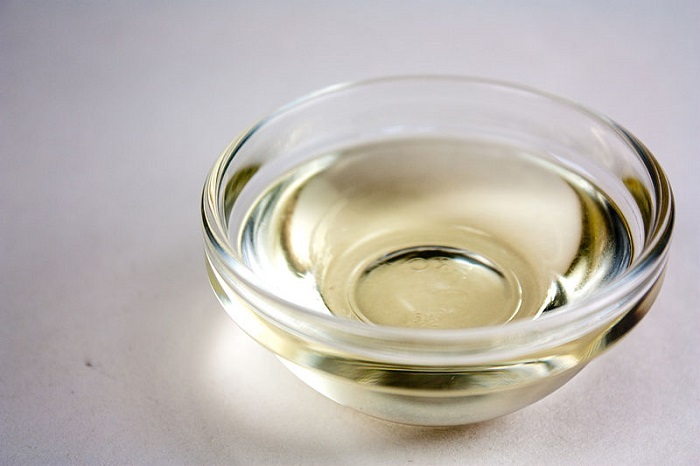 FindItMore | You might have heard the health benefits of coconut oil already and that might have lead you to make a switch to this wonder oil for cooking your foods but what’s surprising is that it can help keep you looking beautiful as well. It’s a do-it-all ingredient that you can use for moisturizing your skin as well as removing makeup. In fact, that’s not all about the benefits this natural product has to offer and you can incorporate it into your beauty routine in so many different ways to ensure that you look as beautiful as ever. So, let’s take a look at some of the most amazing uses of this natural oil and the benefits it can deliver for your skin and hair. If you keep coconut oil at room temperature, it turns into type of creamy solid and becomes liquid when you heat it to 76°F. It can be used as a wonderful hair mask that can add shine and moisture to your hair. All you need to do is to apply it generously on your wet locks after shampooing and then twist the hair to form a bun. Let the oil settle down for around five minutes and then rinse it off for achieving the desired results. Even if you are looking to give your little ones the best Kids Hairstyles, your natural hair mask will certainly pave way to give them the perfect hairstyles they need by keeping the hair moisturized and frizz free. The creamy texture of coconut oil makes it the best natural product that can be used as light moisturizer. Just apply it quarter sized as soon as you finish your shower and then let the oil sink into the warm skin to settle down and work wonders for your skin. You’ll even love the fragrance it will add to your body. Another cool option to further soothe your beautiful skin is to add some drops of lavender oil or peppermint for mix massage. The ultra-hydrating features of coconut oil make it a perfect solution for chapped lips. You can simply scoop a small amount of the product into your spare contact lens case and put it in the purse to carry it along everywhere. You can dab a small amount on the lips using a finger anytime you feel the need to do so. You can even use it for getting rid of those ragged cuticles taking that same approach discussed above. Your nails will be strengthened and the cuticle skin will be hydrated by the use of this wonder natural product and it will give your hands a more youthful look. The delicate and thin skin under the eyes is often prone to puffiness, fine lines and dark circles. If you don’t like spending too much on expensive skin treatments, coconut oil provides the best solution. Only rub a small quantity between your fingers so that it warms up and then pat it right below the eyes where your skin is affected. Rub small quantity of the oil in the fingers so that it warms up and apply that to bottom couple of inches of the hair to give your locks frizz protection all day long. For coarser and thicker hair, apply coconut oil on the mid-shaft and take it to the ends for additional frizz control. The hair will become extra soft and shiny as a result. Keeping your skin fresh and glowy might be your ultimate goal. And, if you don’t have that naturally, simply liquefy a small amount of coconut oil on top of the cheekbones, a little above the eyebrows, and to the cupid’s bow in order to have hydrated skin which feels lit from the inside. It often feels annoying to remove that heavy makeup and it gets even more challenging if your makeup has greater staying power. Well, coconut oil gives you solution to that as well. Just massage a small amount of liquefied coconut oil onto your skin and the makeup will start melting away. Rinse with some warm water afterwards. You can even create your makeup remover wipes with coconut oil as well. Just melt a teaspoon of it for each small cotton pad in microwave-safe container. Create an even layer by laying cotton pads one after the other and leave them overnight so that the oil can be fully soaked up. Put them all in same container and carry them along everywhere you go so that you can easily remove your makeup whenever you want to. Mix half cup sugar or sea salt with half cup liquefied coconut oil, put the mixture on your hands and rub over the rough skin patches gently. The scrub will remove any dead cells of the skin and moisturize it. As a result, your skin will become baby soft. You can also add some sugar or salt to this natural scrub for making the skin of your elbows and feet feel extra tough. It will also give you a bit of tropical scent. You may also add some lavender oil for the same. If you don’t have your shaving cream handy, coconut oil can very well serve the purpose. Simply warm it by putting the jar under hot water and then smoothen it up onto your legs before you shave. It will let the razor glide smoothly and will give you a really super-close shave. Besides, it will also moisturize your legs too. Also, remember to shave outside shower because coconut oil is slippery and you may not be able to hold the razor properly with wet hands. So, with all these beauty benefits of coconut oil, it’s a must-have product for your daily skin and hair care routine. Have it in your arsenal and start your journey to a healthy and beautiful You! The results will start showing up soon and will be immaculate nevertheless. PREVIOUS POST Previous post: Instagram: Why it is a Great Platform to Market Your Website?